Brighten your outdoor space with one (or all four!) of our new vibrant colors — Sunset Red, Aruba, Lime, and Pacific Blue. 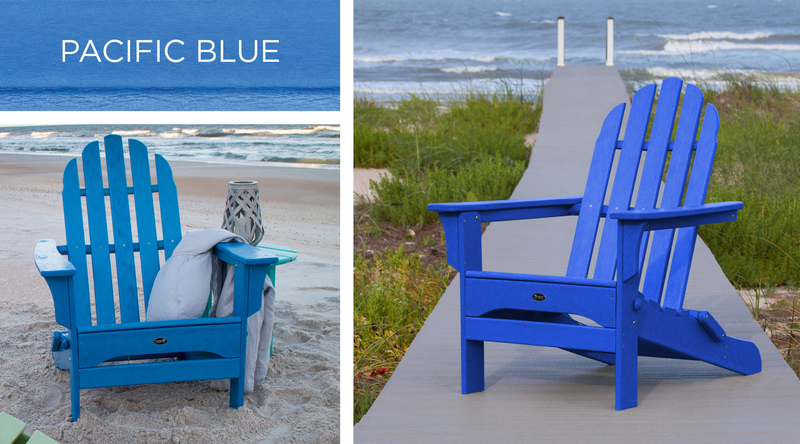 By popular demand, we’re thrilled to finally introduce these fun hues to the Cape Cod and Yacht Club Collections. Here’s a closer look at all four of our bright, new colors and even a few new pieces in the collection. 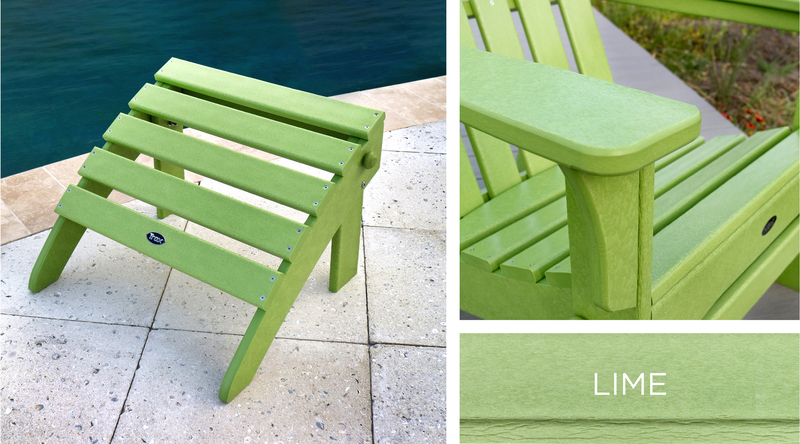 Our new Cape Cod Ultimate Adirondack is the perfect balance of style and function. This classic Adirondack folds AND features a unique hideaway ottoman to prop up your feet! Easily create an adorable set with two Adirondacks and the Cape Cod Round 18″ Side Table. 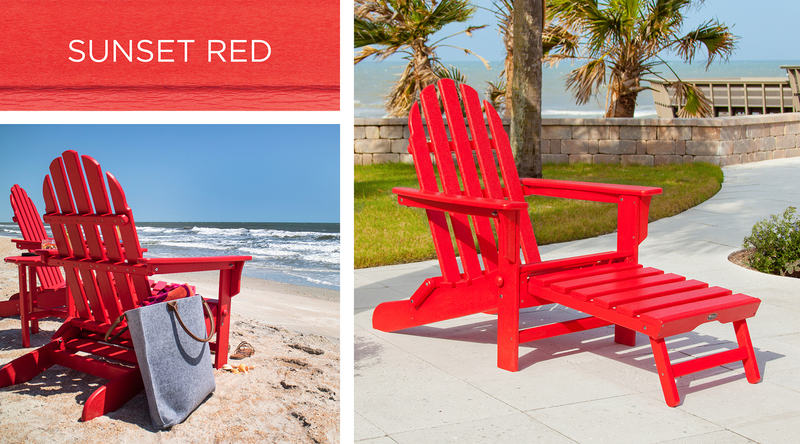 With its contoured seat and classic Adirondack-style back, the brand new Cape Cod Adirondack Rocking Chair is a beachy alternative to a traditional rocking chair. Featuring a shellback style and coordinating ottoman, the Yacht Club 2-Piece Shellback Adirondack Seating Set will bring the style and charm of New England to your outdoor space. It’s the ideal seating set to sit and escape with a good book, or to relax with a glass of wine at the end of the day. If you prefer the look of our Cape Cod Adirondack, but like the curved design of our standalone ottoman, the Cape Cod 2-Piece Folding Adirondack Set might be the perfect fit. Like the Adirondack, the coordinating ottoman folds up for easy storage or transportation. 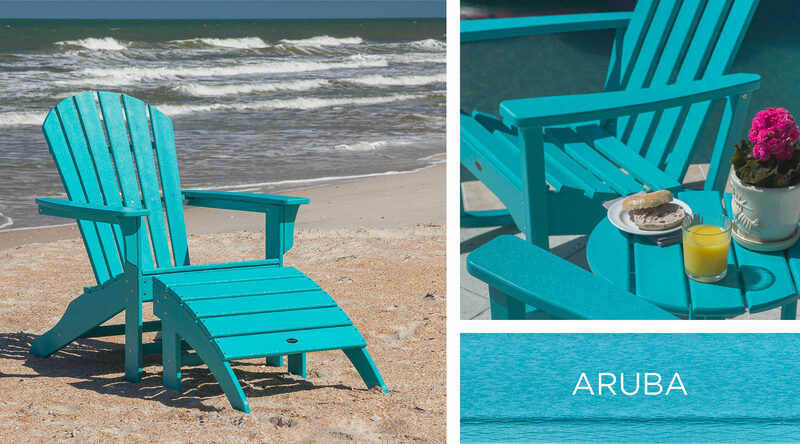 The classic style of our Cape Cod Adirondack Chair meets versatility in our Cape Cod Folding Adirondack Chair. Enjoy the comfort of a traditional Adirondack anywhere, anytime, with these foldable, easy-to-move chairs. The set would not be complete without our Cape Cod Round 18″ Side Table making this the perfect combination for your outdoor living space. Add a little color to your outdoor space! Where can I purchase the Trex material in Pacific Blue? Thanks for reaching out to us regarding our Pacific Blue lumber! At this time we do not sell our lumber direct to consumers, we extrude it for our manufacturing purpose to build Trex® Outdoor Furniture. We do have 2 dealers who purchase it in bulk quantities and resell to the public in smaller quantities.